We made cake pops. I had to know what the fuss is about. Now I know. The fuss should be there. It should be bigger. Any recipe I found on the net involved a packet cake mix and a tub of frosting. We didn’t have either. So we baked a regular chocolate cake and my helpers broke the cake into pieces. We mixed it in the mixmaster with chocolate icing we’d made, rolled it into balls and put them in the fridge with a stick poking out the top of each. 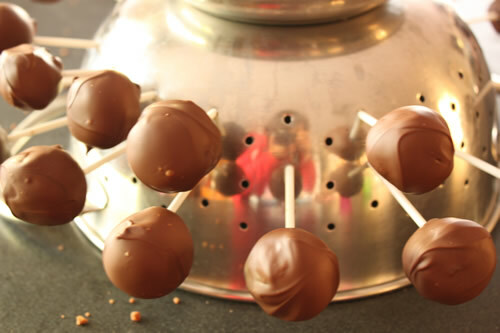 Then we dipped them in melted chocolate and followed the tip I’d read about using a colander to let them set. Do it. It’s not a myth. You’ll know what the fuss is about and you’ll know why it’s hard to stop at four (What? They’re heaps smaller than one piece of cake…). 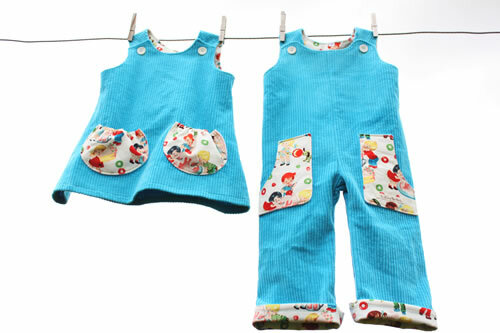 I finished a custom order for a little set of twins who look gorgeous in aqua blue. They’re turning one and will wear these outfits as they celebrate hitting the single figures and their family celebrate everyone’s achievements this year. 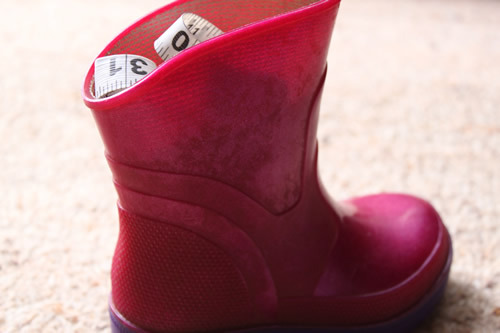 And I found my tape measure. Maeve, where are you? Cake pops eh? I had one once, but it was blue…..I have a thing against eating/ drinking blue stuff, and I think I had enjoyed a few Jack Daniels prior to my cake pop…. The colors of the Twin outfits is spectacular! Lovely and bright, and I really love those retro prints…. P.S I have a large assortment of the children friendly sewing items so the chance of me finding things when I need them is much higher! Agh, blue. I’m sure that’s why they make kids’ cakes such bright colours to stop the adults from pigging out on the leftovers. I was hoping you’d know the reflection in the colander was intentional! Your picture reflects (ha ha!) your attention to detail!